Danske Bank, reeling from a money laundering scandal, has suffered another setback when the Danish financial regulator rejected its candidate for chief executive on the grounds that he lacked sufficient experience. 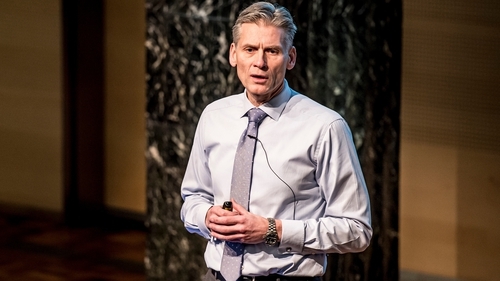 Denmark's largest bank is looking for a new leader after Thomas Borgen was ousted last month as the group struggles to deal with a money laundering scandal. Danske's board had asked the financial watchdog for its approval of Jacob Aarup-Andersen, aged 40. Aarup-Andersen joined Danske in 2016 from Danica Pension and has held the post of head of wealth management since May this year. While the regulator found he was "well qualified in many areas", it added "longer experience, including within certain of Danske Bank's business areas, is needed," the bank said. "The board of directors unanimously backed Jacob Aarup-Andersen as new CEO, knowing full well that longer experience in certain areas would have been desirable," said Chairman Ole Andersen in a statement. He added that the board was now in dialogue with other potential candidates. Jesper Nielsen, who was the head of Danske Bank's domestic banking business, will stay on as interim CEO. Other names mentioned by analysts and media outlets as possible candidates are the CEO of Danish mortgage lender Nykredit, Michael Rasmussen, the head of European Fixed Income and Commodities at Morgan Stanley Jakob Horder, and Annika Falkengren who is the former CEO of Swedish bank SEB and a partner in Swiss bank Lombard Odier. Former CEO Borgen quit after an internal inquiry found that payments totalling €200 billion, many of which Danske Bank said were suspicious, had been moved through its Estonian branch between 2007 and 2015. Danske Bank shares hit a four-year low this month after the bank said it faced a US criminal investigation into the case.